"University is a very formative time and there is so much potential for people to find their passion. But not everyone is afforded equal opportunity here. We’ve got a great Executive this year and we want to make sure every student can capitalize on the chances they are afforded,” says Kareem Ibrahim, new SSMU president. See what he has planned for the SSMU in the coming year. And it would be harder to be more plugged in to McGill than Ibrahim. Before being voted in as SSMU president by 225 votes in the March 20 elections, the fourth-year International Development student (minoring in French and Spanish) has served as president of the McGill Inter-Residence Council, Arts Undergraduate Society VP External, Arts Senator and Senate Caucus Representative to SSMU. He is also a floor fellow and a board member of the Educational Community Living Environment (ECOLE) project and QPIRG-McGill. In short, he’s a busy man. Because not everyone uses the same communication tools, this year’s SSMU will try to broaden its communications approach by using everything from Listserv and Facebook to surveys, Instagram and Reddit. But Ibrahim also understands that while social media is very popular, it can be a double-edged sword. “It can be a very challenging world to navigate – especially in anonymous forums,” he says. “Things can get really complicated when there is conflict or misinformation and no accountability structure in place to help remedy those situations. 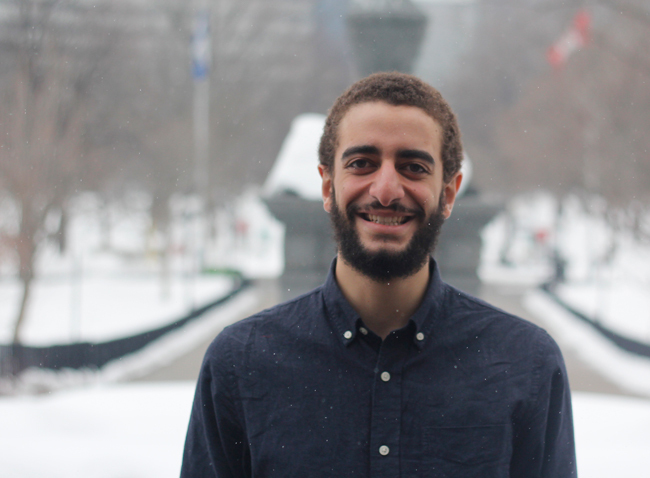 Looking ahead to the coming year, Ibrahim says he and the SSMU Executive will be focusing on a number of issues, including budget transparency; employment equity at McGill; student-run food operations and promoting students’ interests on issues like consent and mental health counseling. A longtime veteran of student politics, Ibrahim looks at his mandate with equal a good mix of optimism and realism. “As a collective we have huge potential,” he says. “But it is easy to feel disenfranchised with that collective because it is a bureaucracy that is sometimes hard to navigate. I am more than willing to do some of the legwork to help people connect the dots and make sure they get the most out of their time here. I think community depends on trust and Ibrahim, through his various offenses, does not offer anyone real trust. Another important matter is his win by such a slight margin against another petty, privileged candidate, who doesn’t think school and legal rules matter for him.